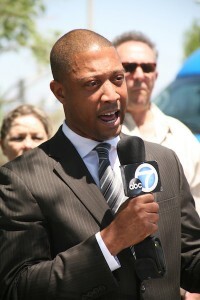 I recently had the opportunity to chat with Johnathon Ervin who is running for the California State Senate. Ervin, a Senior Master Sergeant in the United States Air Force Reserve, was born and raised in Flint, Michigan. Flint has become a national news story due to the water crisis they are suffering from due to failures from their politicians who are supposed to represent them. I talk with Ervin about the problems currently in Flint and how they can be traced back to a steady decline in the economy. We talk about how it is easy for communities like Flint to be forgotten about by politicians and how voters in these areas are disenfranchised. Ervin talks about his own district in California, District 21, and some of the issues he’s hoping to address and fix in order to avoid problems like in Flint. You can learn more about Johnathon Ervin, his background and the issues he's running on in District 21 on his campaign website.